5 New Highlighters for All Skin-Tones | Slapp. It’s Holiday season which means Highlight is essential. We’ve picked five which work for all skin tones and can be used, whether you’re bare-faced or fully beat. 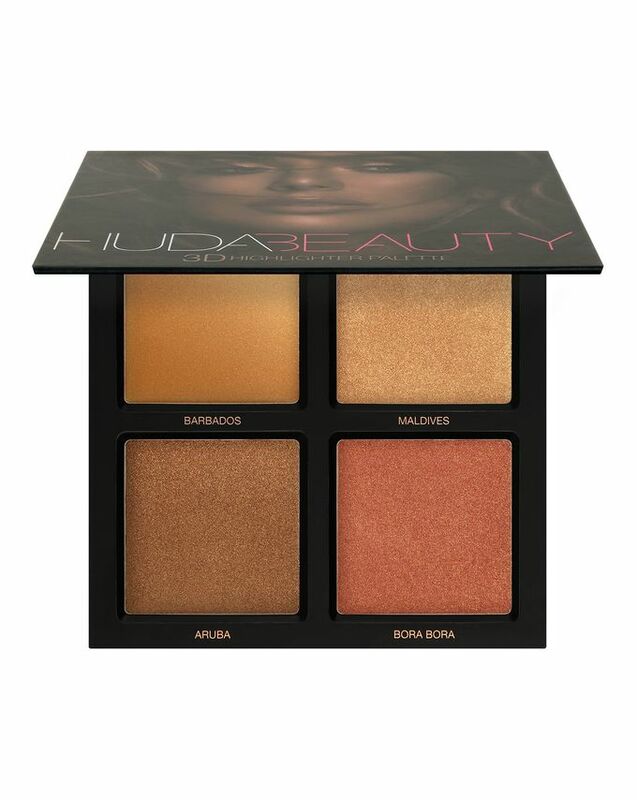 Huda Beauty's latest highlighter, is a mixture of tones and textures in a four-pan palette. Already a Slapp favourite is ‘Bronze Sands’. It's perfect for warmer skin tones, but looks great on so many complexions. The palette comes in three shade variations, so everyone can try their 'ideal' match. Fenty Beauty never fail to pack in the pigment; and have quickly become notorious for their intense and universal hues. The highlighters, of course deserve special mention. Their pinks and golds are always on point, but what sets Fenty apart, are the colours we never knew we wanted: pinks, blues and of course Trophy Wife. Apply with a light hand and bask in your shine! Charlotte Tilbury continues to build on her divinely packaged line, with the launch of her limited edition palette. This gorgeous trio sees the return of the sold out Bar of Gold; together with two new shades of golden goodness. Champagne gold, rose pink and warm golds, can be as subtle or dazzling as you dare. The new BAREPRO GLOW highlighters are long-lasting liquid drops, formulated with mineral pearls. The shades match all skin tones and are infused with good-for-your-skin ingredients: like oat sugar and bamboo extract. These versatile drops are blendable and buildable. Apply as a highlighter above cheekbones; mix it in with your foundation for an all-over glow; or use as a primer with, or without, makeup. It’s also amazing as an inner eye highlight. Available in five shades which can be worn together, or alone, the Hourglass Highlight sticks, are so easy to use -and the perfect addition to your Slapp bag. The shades range from platinum to pink - and suit all skin tones. The shape of the stick is ideal for gliding over cheekbones, dabbing in the inner corners of eyes, or sweeping across your cupid’s bow. This stick isn't just pretty, it's smart. Thanks to its innovative technology, the formula adjusts to your body temperature, to ensure your glow is always fire.